The fifth series of Doctor Who is often broadly descried as a practice in base-under-siege monster stories, five of the six stories utilizing that format to some extent. While there is no doubt that Troughton and his companions often come upon an isolated group of people that encounters a dangerous alien menace looking to defeat them or to gain control and power, there’s also no denying that the format produces some genuinely classic tales when taken in isolation. Produced shortly after the Mariner 4 probe allowed humans their first up-close look at Mars, ‘The Ice Warriors’ taps into the popular consciousness and romantic sentiments of space at the time, suggesting that Earth’s closes neighbour was once home to a sentient and powerful species of its own. As a foe, the Ice Warriors are quite unique. They do suffer from the more cumbersome and trudging pace that plagued so many of the classic villains, but their strength and power is undeniable and the twist on little green men from Mars is intrinsically intriguing. The hints of their backstory here offer a tantalizing look into a very complex culture as well, one certainly that is not inherently evil. As far as the story itself goes, a sixties feel pervades throughout, not only regarding the otherwise impressive base design and outfits but also in the oft-used movie plot device of finding somehow unknown in the ice and deciding to defrost it. Unfortunately, both the lead and guest characters aren’t as well-rounded as usual, instead more generalized figures written to fill needed roles without any real essence of humanity. Victoria is essentially there just to scream, but even Client’s overreliance on computers contrasting against the Doctor’s recurring assurance that he works better without computers is a rather overplayed and hackneyed. This is a central difference between the two that the script feels is necessary to bring up time and time again, but it feels forced and takes away from some of the natural emotion that a more nuanced take on events may offer. Fortunately, the innate chemistry between the Doctor, Jamie, and Victoria still finds moments to shine through and add a more intimate touch to proceedings. For those very reasons, though, ‘The Ice Warriors’ just may be the most clear-cut example of a base under siege with little else to distract from that fact, starting right from the opening scene and the evacuation warning. However, there is a recurring apposition and cohesion of the past and future as events progress. Through the mention of the buried Ice Warrior looking like a Viking Warrior, a futuristic Earth being plagued by another Ice Age, the presence of both sleek jumpsuits and primitive fur coats, or even the Ice Warriors being from a distant past but still being a monumental threat to this future Earth, there seems to be another recurring motif that perhaps the past and the future are not so disparate and that there may be a cyclical nature. However, considering that the Ice Warriors are a race that was conceived as a one-off menace, their costume design, sound, and backstory are incredibly complex, and it’s no surprise that they would end up ranking among the pantheon of Doctor Who’s great alien races despite a limited number of appearances. 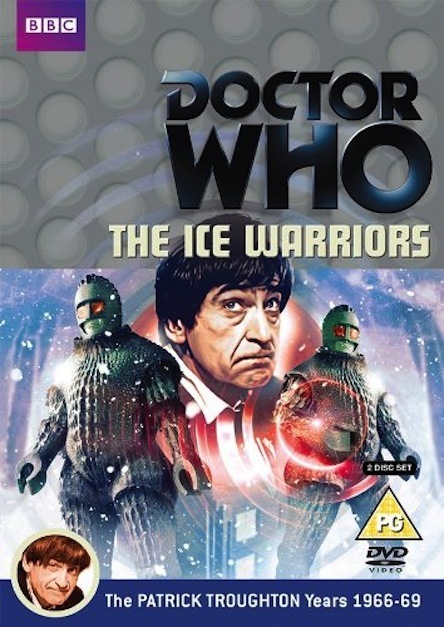 ‘The Ice Warriors’ itself is a quintessential Troughton era story with little extra added to the archetypal base under siege format; if taken in isolation and not as part of a sequence of base under siege stories, it stands up quite well to the test of time and manages to keep the positive energy and momentum of Troughton’s second year going strong.